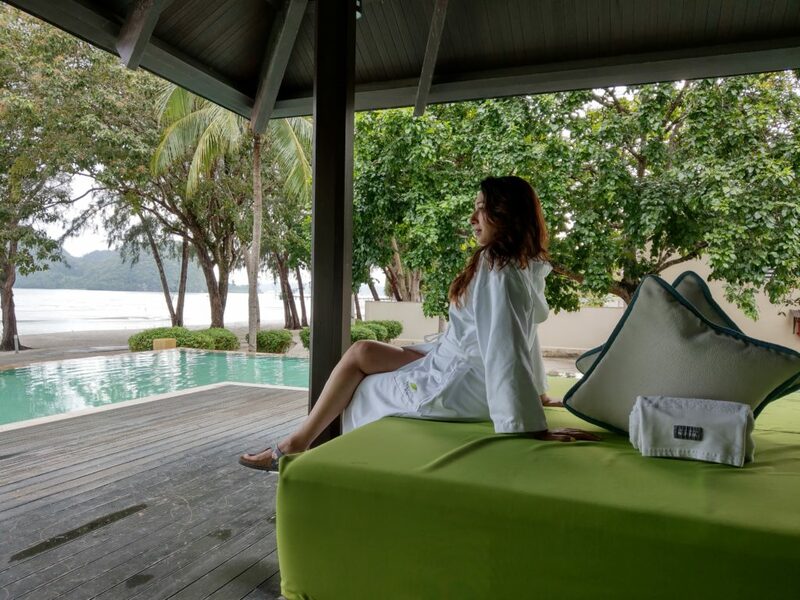 Located in the far South Eastern tip of the Langkawi Island, the Westin Langlawi Resort and Spa is the perfect pick for travellers looking to get spoilt-silly, soothe their body and souls, and don’t mind extending their stays; cause it will happen! All of it! If you have been reading my blogs, you would realise I don’t really do much research. I pick a place to travel, reach out to a few places, resorts, activities I’d love to cover and then literally go with the flow; with no concrete plans or commitments. 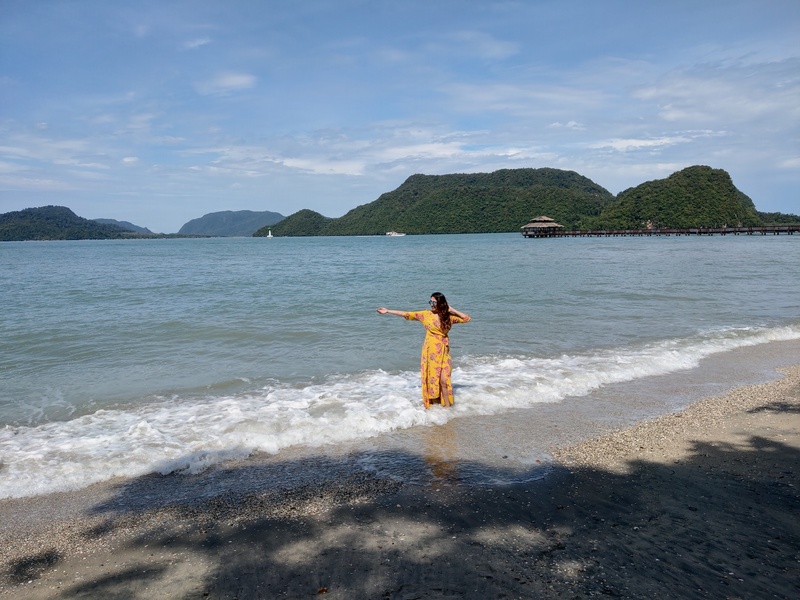 I had travelled to Malaysia, and had planned to cover Kuala Lumpur, Langkawi and Penang. 4 days in each place. One has to take short flights (and very cheap) to hop from one island to the other. 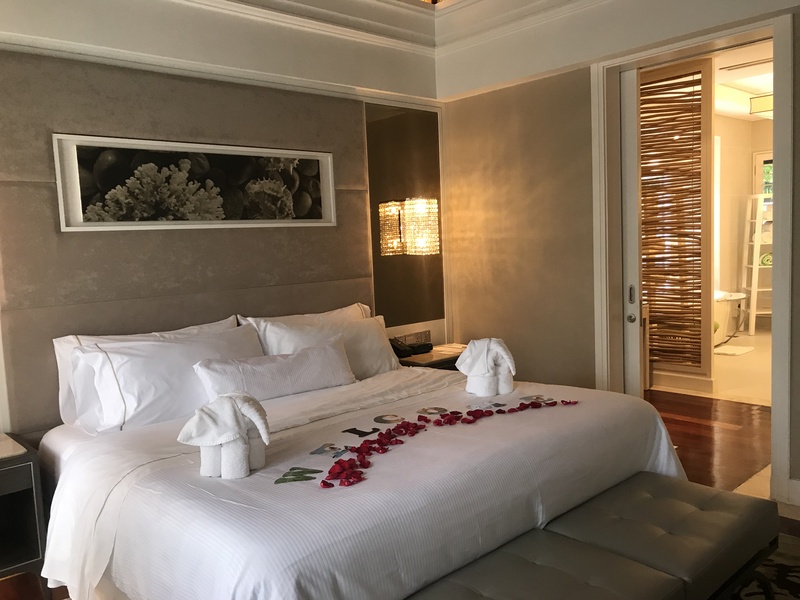 Literally a day before check-in, I requested for an extension out of pure greed and the wonderful team of Westin happily extended their welcome and planned the entire itinerary for me. Thank you team Westin! Best decision ever! 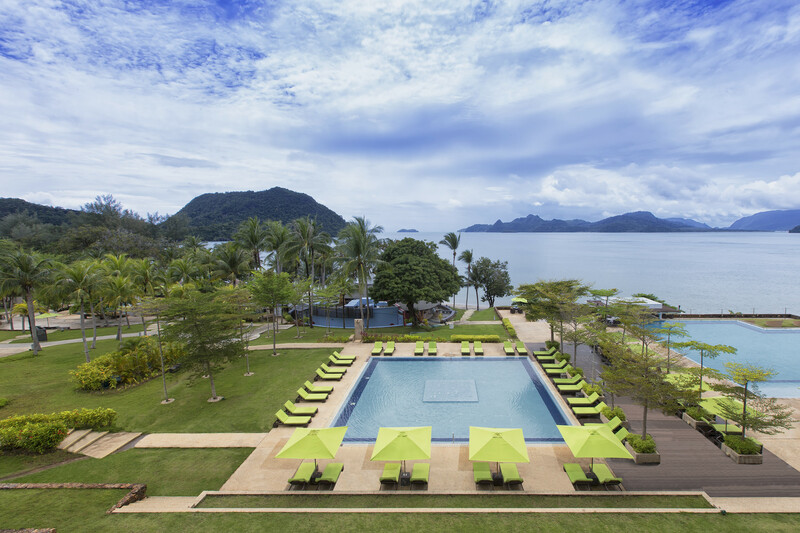 Everything about Westin Langkawi is about understated style and classy comfort. Let’s take my pick up for starters.. it was a BMW, Wi-Fi and amenities enabled! Oooh so Posh! Haha! The chivalrous chauffeur drove me to the resort while giving me stories of the areas we passed (All that coming soon in the Langkawi blog). 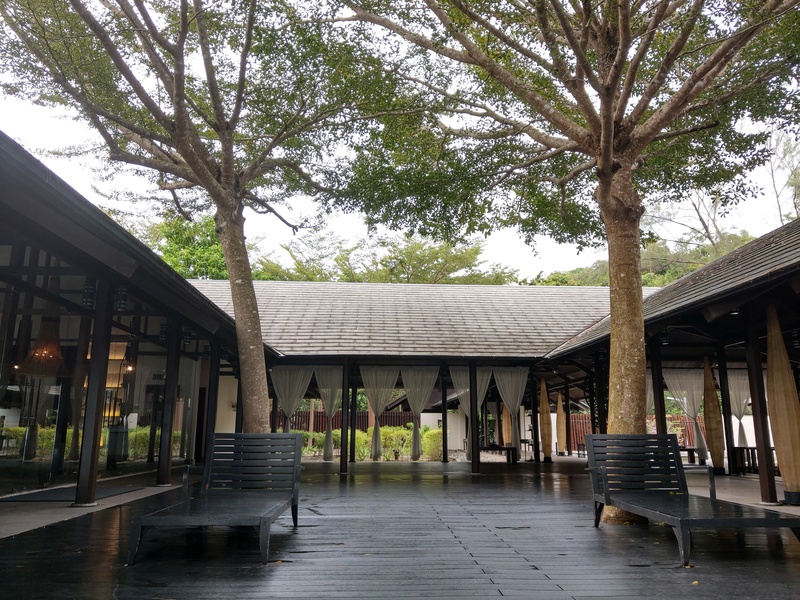 The resort has a beautiful entrance, with a grand Lobby, the Breeze Cafe and then the view of the endless blue Andaman Sea.. all in one line! 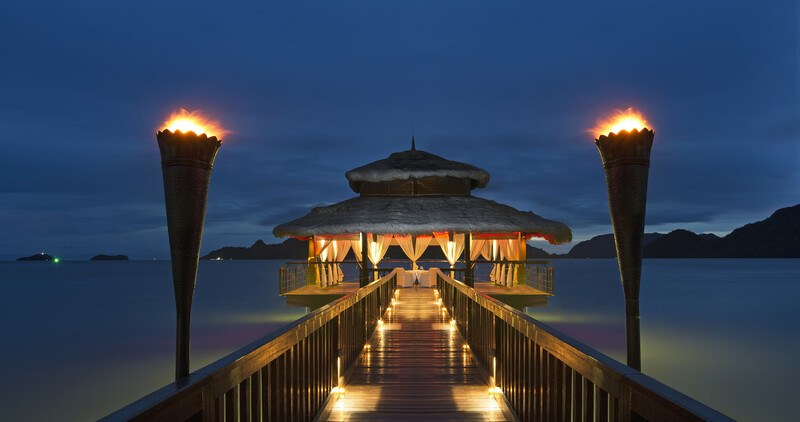 I walked in, was greeted by the warm staff but I confess; I simply kept walking towards the sea, like drawn to it. Breath-taking! I spent 2 nights, 3 days in their 1 bedroom Villa, with my own personal pool! 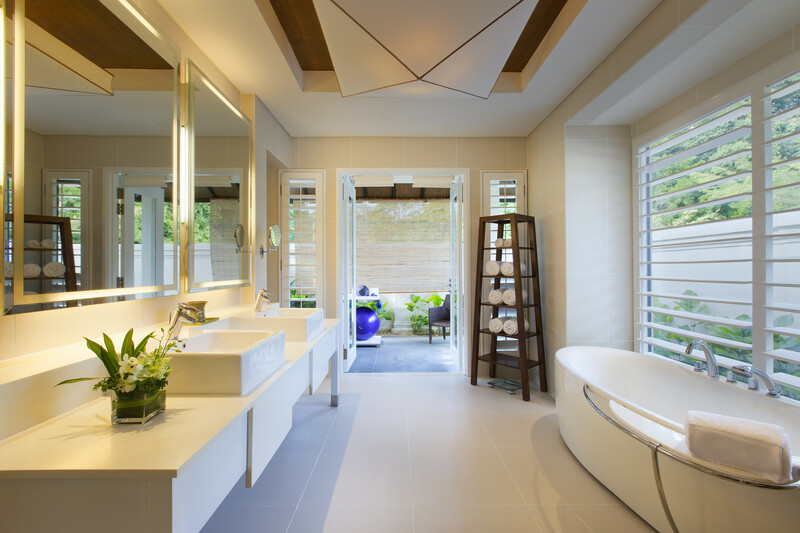 The villa has it’s own garden spaces all around, so you walk-in into your own little heaven of luxury and are greeted with the signature bottles of health and rejuvenation. An aesthetically furbished accommodation with every new age amenity to make one feel comfortable, along with a small kitchenette. Westin, as a brand is very focused on wellness and every property reflects it and inculcates its every aspect possible. Like their beds for example; they have actually invested in designing beds that give the best sleep, aptly named the Heavenly Beds. A good sleep is the best start to a day, they say, and I say Yayyy! The patio is spacious with the view of the sea and yet designed to give complete privacy for your personal pool experience. 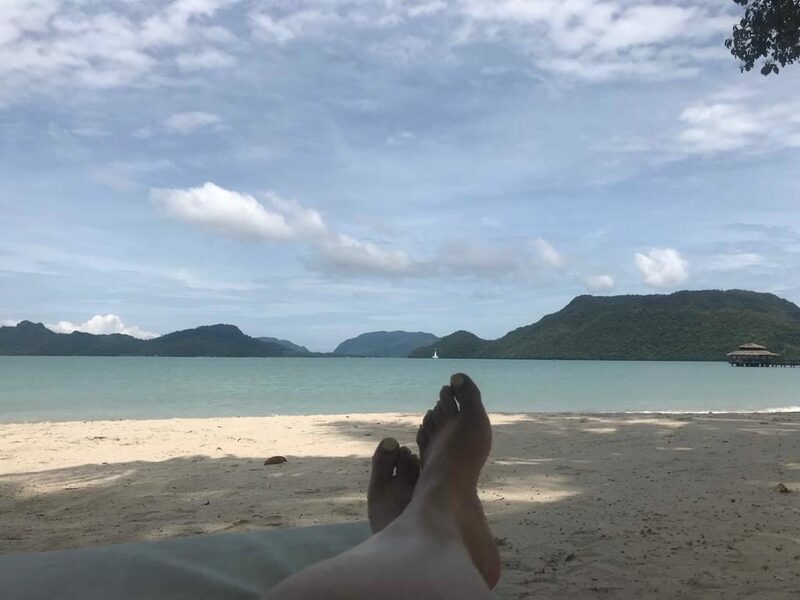 The resort has 5 incredible pools, the Infinity Pool and the Rock Pool were my favs but the after a long day; a dip in my private pool; floating looking up at the moon in the scattered clouds filled sky, with some jazz and a pretty cocktail made specially for me; was always the perfect, happy ending. I had my first meal at Seasonal Tastes Restaurant with Geeta from the Westin team. 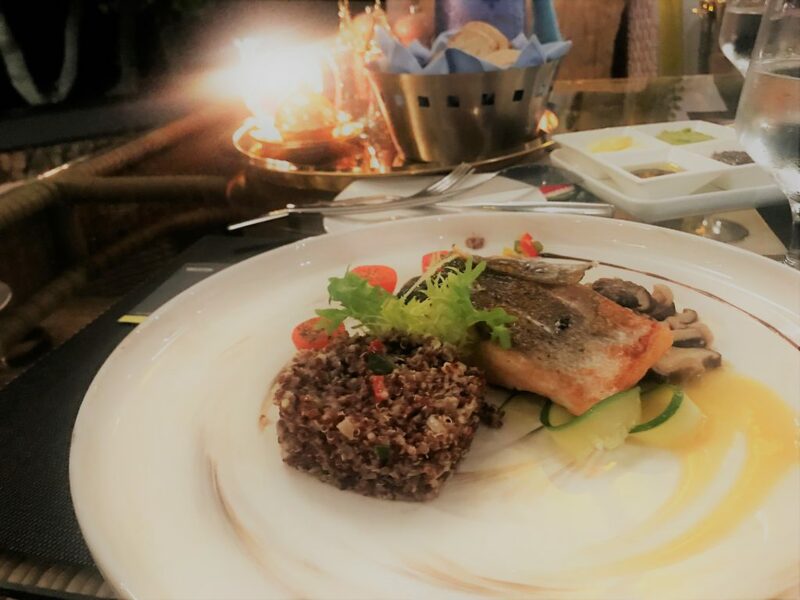 The entire restaurant has the view of the Sea ofcourse and the menu is designed to include the freshest ingredients. 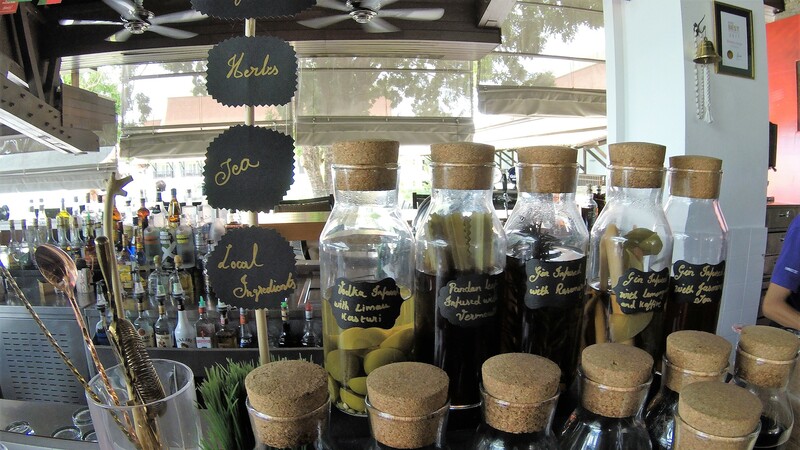 It serves the most lavish, extensive breakfast buffet. My fav spots however were the Breeze lounge and Tide, both for completely different reasons! Breeze is open air and is like a balcony over the sea. 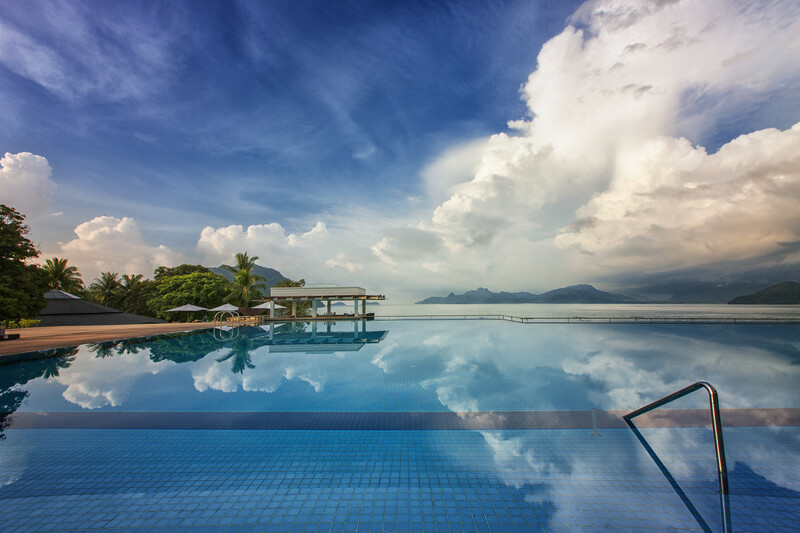 Your view is the gorgeous Infinity pool merging with the Andaman Sea, and the Wooden Float breaking the monotony of the hues of blues. 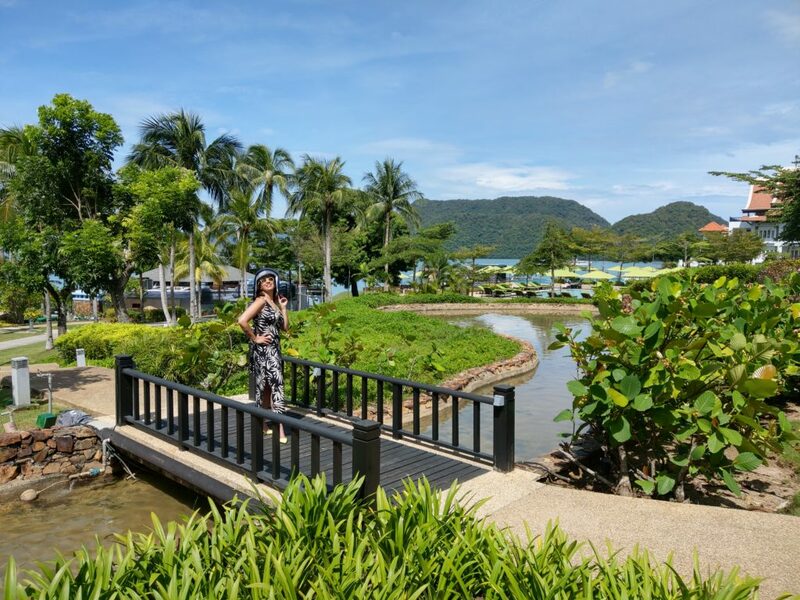 But that is also not the best part; probably; cause Westin Langkawi has the most incredible weapon of vacation…. Dinesh Babu. A master of Infused Cocktails! Once he knew my poison was Gin and Tonic, how he pampered all my senses with so many variations and moments. 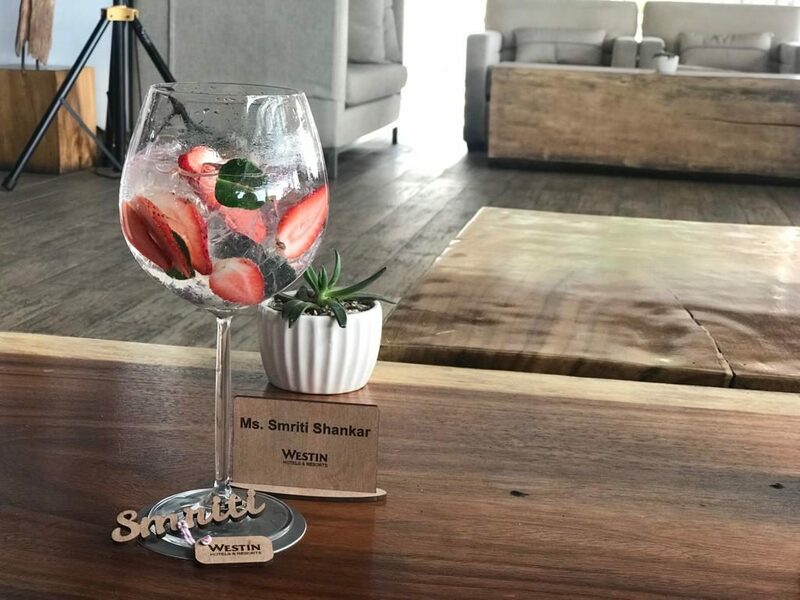 Gin infused with local spices and condiments and blended with so many new mixers, delightful to the eyes, nose, taste and of-course the mind.. haha! And jeez do they play on personalization! Even the fresh coconut water comes with the branding on it! Thank you to the F&B team for my personalised momentos.. I will cherish them forever! 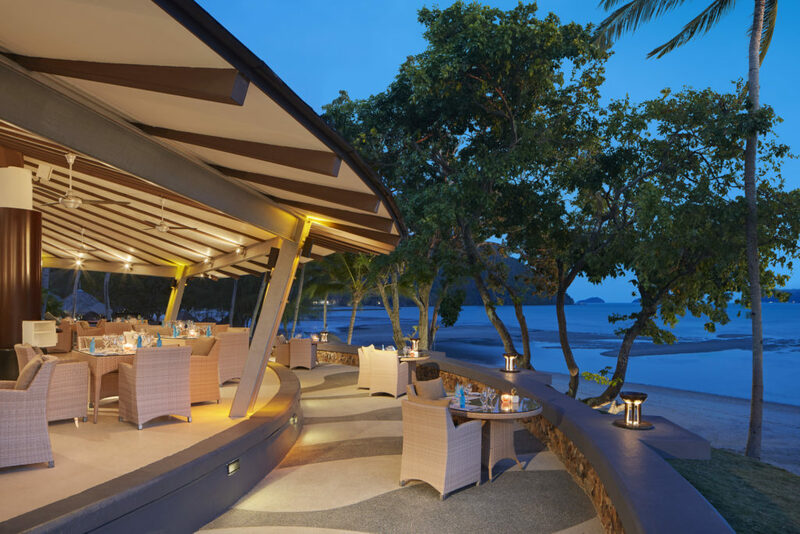 Tide is a pure romantic restaurant, designed to tease all your senses, pure Malay style. An earthy set up with the sandy beach, the sea and a dramatic sunset for your viewing. The food was great! 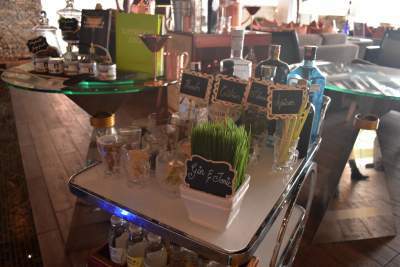 The cocktails were amazing! The whole ambiance and service was incredible, but this moment belonged to Rajiv Kapoor! Yes! The General Manager made time for dinner with me and WOWWW! Incredible person, effortless conversations, unpretentious exchange of stories. Unlike most GMs that I’ve met who just have a certain air about themselves, Rajiv is a true reflection of his hotel and vice-versa. Polished, Honest, Humble, Intelligent and Warm! On my last morning with them, they surprised me with their Breakfast in Bed. You know how we look at those pics in magazines and secretly desire to live them someday; the Westin Langkawi does that and some more. An elaborate selection of dishes and breads and fruits with the most lovely server. Once I was served I honestly didn’t know whether I wanted to keep taking pictures of how perfect it was or just start gobbling. Picture perfect moment! Again! Aptly named the Heavenly Spa! It had been 8 days of non stop exploration for me; a full body massage is exactly what I needed. I can’t tell you much about the massage honestly …. ermmm ermmmm cause I slept through most of it… Wait.. Isn’t that exactly what should happen when one is totally relaxed??? Ya .. So.. Ya they nailed it! Haha! 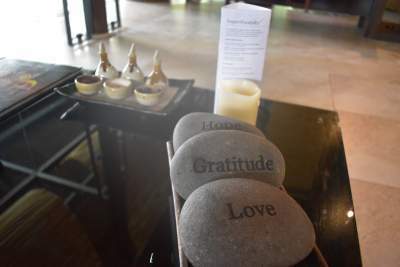 Located in one corner of the property, the Heavenly Spa is perfectly quiet, soothing, relaxing and rejuvenating. The ambiance is tranquil and the staff is so professional and gooooooood that once I was in the massage room, with the light essence, soulful music and right pressure on my back….. khrrrr khrrrrrrrrrrrr… I just dosed off only to wake up to flip and then be served a special tea at the patio over-looking the sea. Just typing about it; makes my neck ache; craving their massage again! The Float: From their private beach right into the Andaman, they have constructed a gorgeous wooden jetty. Great for a Romantic dinner in isolation and another instagrammable spot. Perfect for a walk during sunset! The Mini Cooper: Oh my god the Mini Cooper! 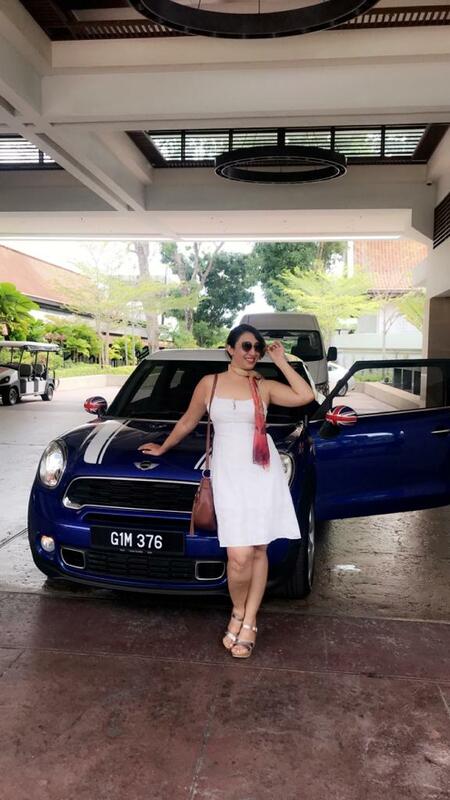 Yes you can hire the resort’s Mini Cooper to drive around the island. I was so excited about this that I even wore a scarf to get the old school vibe going. You gotta do this! 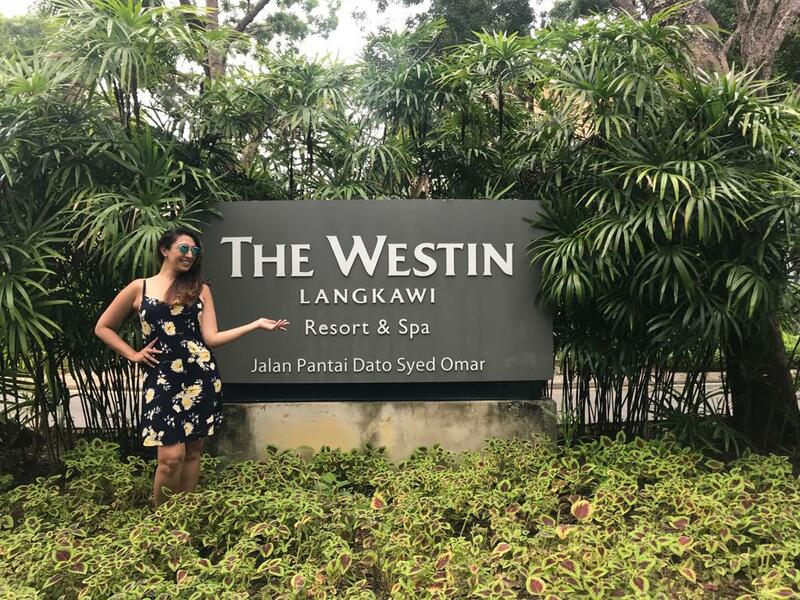 My Westin experience has been one of the most memorable stays; for its location, its staff, its service, the food, the cocktails, the room, the amenities, the sleep, the breakfast and so much more. Special Thank You to Rajiv; for your warmth, company and suggestions, Geeta; for always being there and for becoming a friend I needed, Dinesh Babu; for keeping me well hydrated; Arid for helping me with the pictures and each and every staff member who drove the buggy, served me, massaged me and took the time to greet me and talk to me! Hope I see you all again soon!